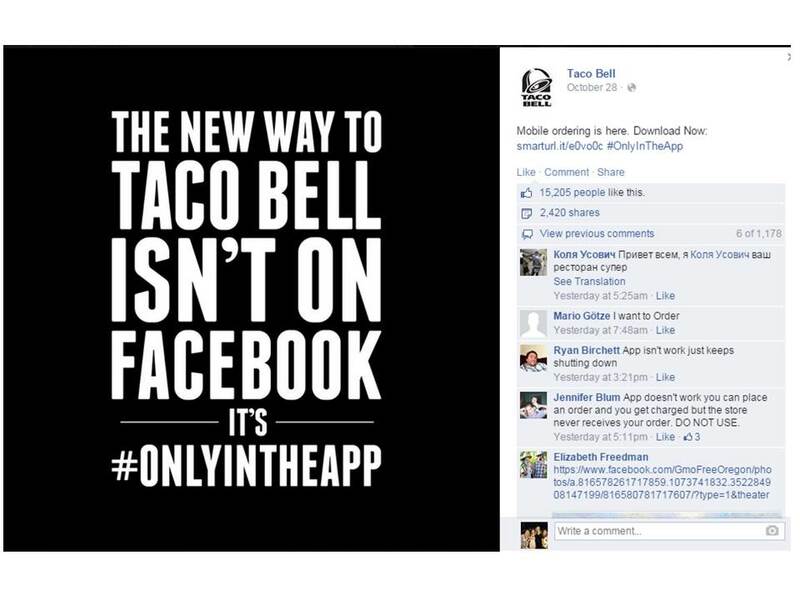 Last week as part of the launch of its new app, Taco Bell blacked out its social- media channels, including Facebook, Instagram, Twitter, and even its website. The only thing these sites had posted was the link to download the app. With the release of this app Taco Bell is the first fast-food chain to offer mobile payment and ordering in the restaurants and in drive-thrus. Users can also select specific ingredients for their food in a way they previously weren’t able to, according to a statement. As of now these social media pages are all still blacked out. The blackout clearly worked because Taco Bell announced that just 24 hours after launch 75 percent of all stores already had processed a mobile order. This stunt was well done by Taco Bell. As a huge company with a multi-faceted social media presence and millions of followers, something like this was sure to be noticed. The day after the blackout Taco Bell began using sponsored tweets to push people towards their blacked out sites (which is a little deceptive since their point was to not be on social media and instead be on the app, but I rest my case). I think if it were a smaller company nobody would have cared because they wouldn’t have even noticed. I especially like what they did with their Instagram – the announcement took up nine picture slots and they took a little over a day to put it all together, slowly adding one picture at a time so people could piece together the message. Now that Taco Bell has people’s attention, it’s important to pay attention to what they will do next. People are watching their pages with bated breath waiting to see what will happen so if Taco Bell continues with the blackout it will be a wasted opportunity for them. I do not think it’s a very effective long term strategy to keep everything black because social media is an ever evolving platform and that is constantly growing and Taco Bell needs to keep up with that. 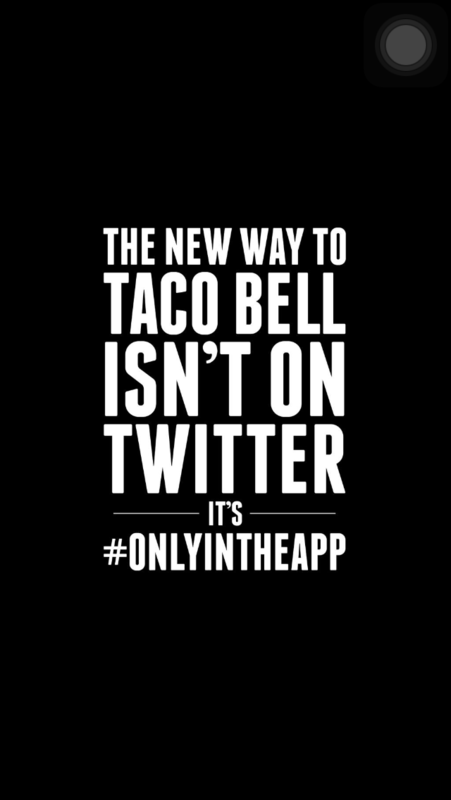 They’re pushing it a little bit by leaving the accounts blacked out for six days now because those followers who have not downloaded the app will soon get bored with Taco Bell’s lack of activity on social media. 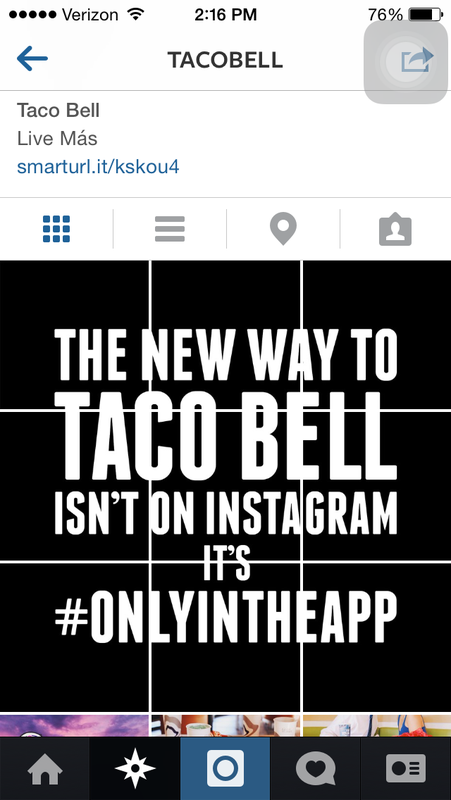 Now taking bets on when Taco Bell will come back to social media.